Last Saturday evening, after dinner, Danny Gregory let us look through his assortment of wonderful illustrative journals he had filled over the many years. That's where I saw this technique he likes to use of painting around the drawing. 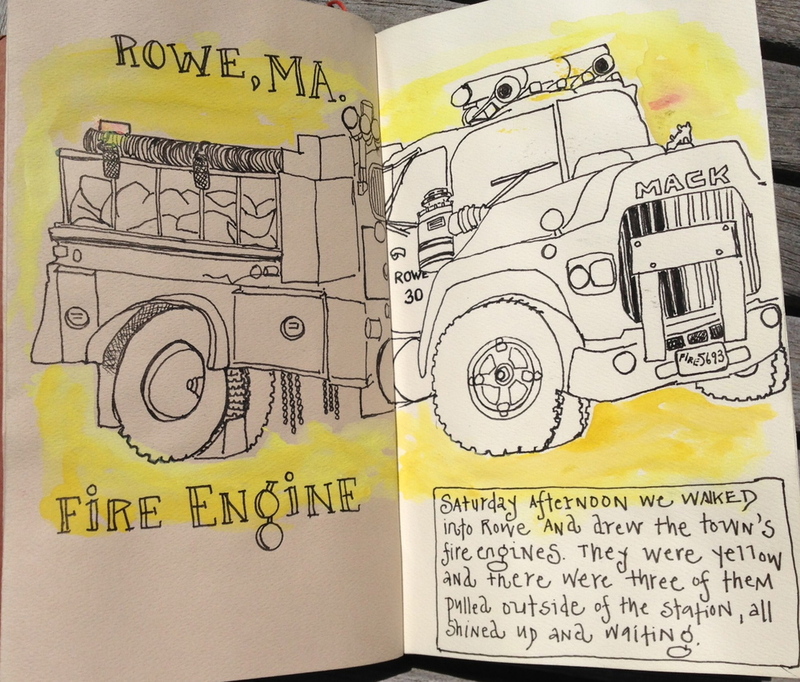 These fire engines were hard...a challenging exercise. My truck got a bit squashed in the front, but I was determined to fit it all on the two pages. Precise measuring is really difficult, but fun. Danny strongly advises against using pencils, so I have transitioned to beginning all my drawings right from the start with a pen. Make sure you use a waterproof pen like the Micron pens so they won't run when you add color later.